To put it shortly, twitter chats are basically organised chats that take place on twitter at a certain time where you tweet about a topic using a hashtag (eg. #BloggingGals.) 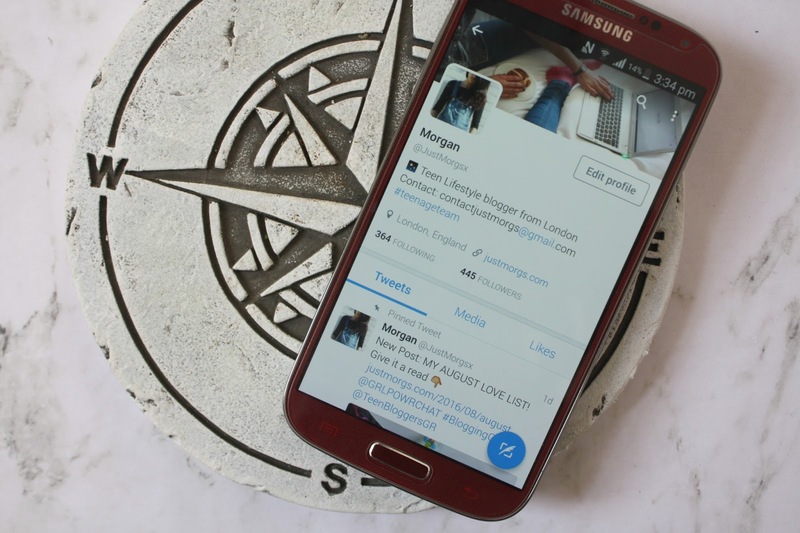 By hashtagging your tweets with that you can interact with other people in the chat and a sort of conversation takes place as you reply to other peoples tweets and chat to other bloggers. How do I join one? It's very simple as I mentioned above, all you need to do is include the hashtag in your tweet and it will pop up on that hashtag along with everyone else. There are no rules to being 'allowed' into a chat, the blogging community is so lovely honestly and you can take part in different chats every day if you want to. What are some of your favourite Twitter Chats? Why I love Twitter Chats! These chats are an AMAZING way to interact with other bloggers just like you and just get to know other people who have so much in common with you. It felt like I'd just opened my eyes to a massive community I never knew existed when I first discover these chats and I've made so many fabulous blogging friends through it. Once chats are over (they usually last about an hour if you're wondering!) I'm constantly dming people if we've had fun talking to each other on the chat and that's just where it starts. It's also helpful to promote your blog on or get it 'out there' because people are constantly retweeting each other and checking out each others blogs during these chats. What do you talk about on the Twitter Chats? the list goes on. The chat host will usually set up a few questions to answer during the chat too and everyone can reply to them. Hosting chats is something a lot of people do and it's basically where you become the person who decides the chat topic for that week and keep the conversation flowing with question and replies. Imagine everyones meeting for dinner and you're the waiter. You may not be the owner of the restaurant as such but the creators of twitter chats will often let other bloggers host a chat for that week and it's your job to make everyone in the chat feel welcome . Does that make any sense, or did I loose you at the restaurant bit? Sorry Hahaha! How do you keep the coversation flowing when you're hosting a chat? - Interaction is key. Whatever people reply, you have to try, and think of a way to answer them as best as you can! Usually, quite a few people take part, so give them a chance to answer the q's, and then just let it come to you naturally. You soon get used to it, and it becomes almost like second nature! What are some of your favourite twitter chat topics you've ever taken part in? - Probably the ones about confidence, blogging, and other important topics like that. Anything from @sassyblogchat and @TheGirlGangHQ really! They never fail to make my Monday 1000x better! - I decided to start my own chats, because I know how successful they can become. It's a really simple, yet fun way of interacting with hundreds of other people, and if you have a platform such as Twitter, then you may as well put it to good use! I thought that it would get more people involved, and it would get them talking, so any project is much more likely to be successful then! Any tips for someone hosting a chat for the first time? - Think of, and prepare the questions beforehand. Give people time to answer, and make sure you reply to/retweet as many of them as you can. Show a genuine interest! Try not to be nervous though, because 9/10 it's a huge success, and you want to do it again! I'd say start off by asking a bigger chat if you can host for them, and then just work from then on. Get involved in loads, and admire the work of other people too. You will then begin to learn, and see if you can pick up some tips along the way!! QOTD: WHAT'S YOUR FAVOURITE SOCIAL MEDIA? 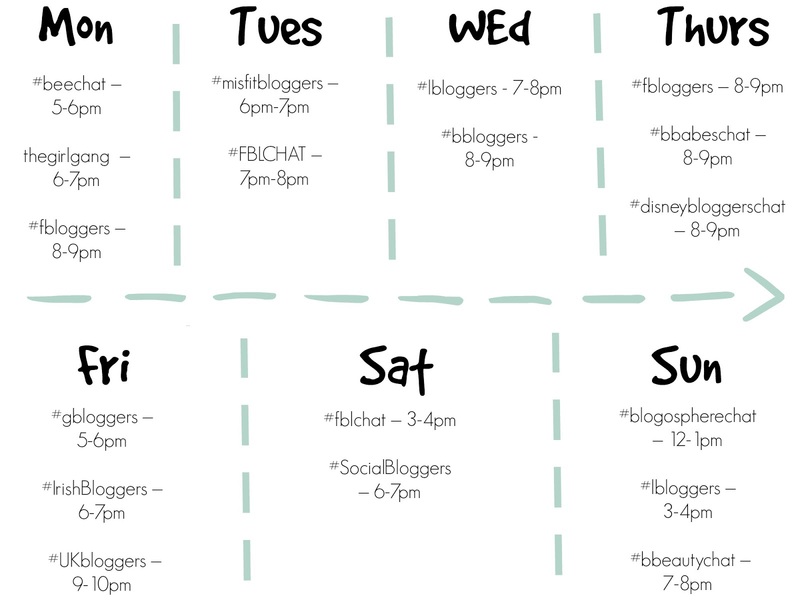 Twitter chats seem so interesting and it's a good way to interact with other bloggers! My favourite social media is definitely Twitter! I hope you are having an amazing weekend! Thank you so much for letting me get involved in this post, lovely!! You did an incredible job at explaining yourself, and I love how you included a little calendar as well - how cute! You really seem like you know your stuff, and that's such a lovely thing to see, because really, everyone should get involved in, if not host chats! They're amazing!! This article is really worth every moment. Benefit HighBeam // Review + swatches! Just Bee Drinks // Review!